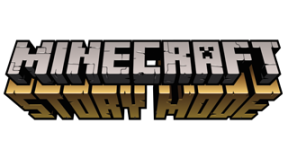 THE ADVENTURE OF A LIFETIME IN THE WORLD OF MINECRAFT As Jesse, you’ll embark on a perilous adventure across the Overworld, through the Nether, to the End, and beyond. You and your friends revere the legendary Order of the Stone: Warrior, Redstone Engineer, Griefer, and Architect; slayers of the Ender Dragon. While at EnderCon in hopes of meeting Gabriel the Warrior, you and your friends discover that something is wrong… something dreadful.